in the U.S., drunk-driving related accidents account for 41% of all vehicle related fatalities. The tragedy of being injured or losing a loved one in a car accident caused by a drunk driver is an injustice that most people can never fully overcome. If you were injured or lost a loved one in a motor vehicle accident caused by a drunk driver on a South Dakota road, arrange a no-cost consultation with a personal injury litigation attorney at Johnson Janklow Abdallah, LLP. Managing partner Scott Abdallah is a former state and federal prosecutor with more than seven years of experience successfully prosecuting DUI accident cases under South Dakota law. Our firm's attorneys have an in-depth understanding of the criminal issues related to DUI and driver negligence cases in South Dakota, which are often the factors that lead to a successful recovery for injured parties pursuing compensation in motor vehicle accident litigation. Our attorneys have received some of the highest recognitions possible in our state. According to the law, all drivers must exercise "reasonable care under the circumstances." A failure to use reasonable care is considered negligence. 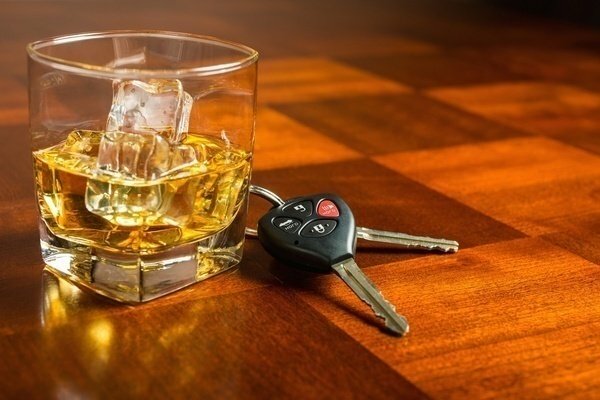 When that negligence is caused by a drunk driver, you need legal representation. In the event that an individual causes an injury accident because he or she was driving under the influence of alcohol or drugs, civil charges can be filed against the liable party. In the event of a loved one’s death, we can help you and your family file a wrongful death claim to ensure that you are justly compensated for funeral costs, loss of income, pain and suffering and loss of companionship. At Johnson Janklow Abdallah, LLP, our attorneys have extensive personal injury litigation experience and an exhaustive understanding of the law and insurance contracts. Our attorneys have an excellent understanding of the intricacies of the law as well as Uninsured and Underinsured Motorist Coverage that may be available to you. We will fully investigate your case and determine which parties are liable to compensate you and/or your family for damages. It is in your best interest to promptly bring actions against any and all liable parties to help ensure you obtain the compensation that you deserve. Johnson Janklow Abdallah, LLP, has successfully represented state troopers injured when struck by drunk drivers while making traffic stops or attending accident scenes. The firm's attorneys have represented troopers and law enforcement officials injured because of drunk and negligent drivers throughout the state. If you were injured in the line of duty by a drunk or negligent driver in South Dakota, or your department is seeking legal counsel for representation, arrange a no-cost consultation with an attorney on the personal injury litigation team as soon as possible. Damages caused by drunk drivers every year are staggering. Our firm has represented countless clients in cases involving DUI accidents and works closely with independent professionals to use the latest technology to investigate, prepare and present the strongest case possible for full and fair compensation to victims. Call 605-338-4304 and contact one our attorneys today for a free evaluation of your case.